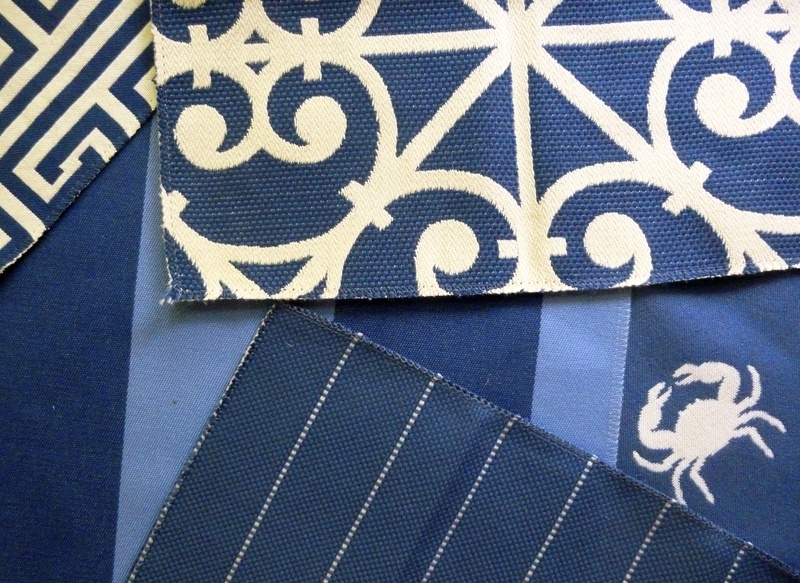 I am amazed that the first week of August is over. 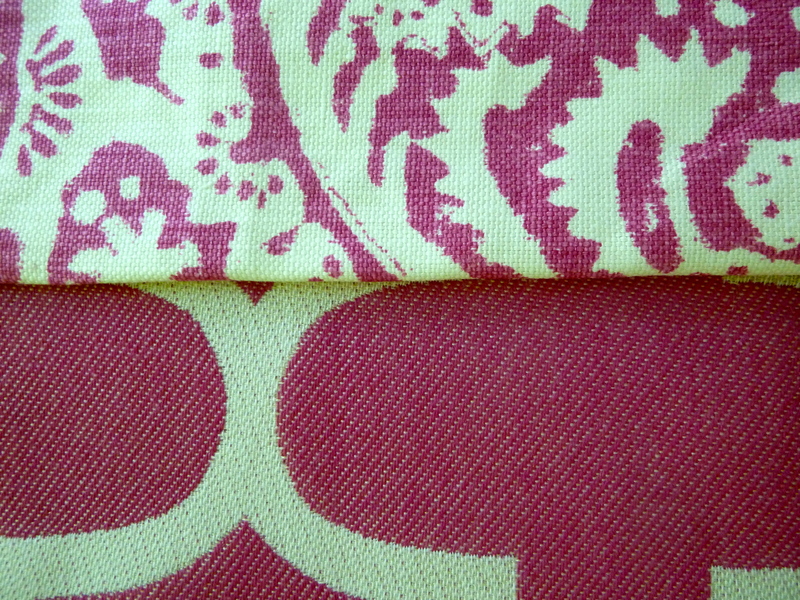 Soon I will be drowning in college shopping and begging the nurse at the pediatrician’s office to let my youngest in for her annual back-to-school physical that I forgot to schedule. 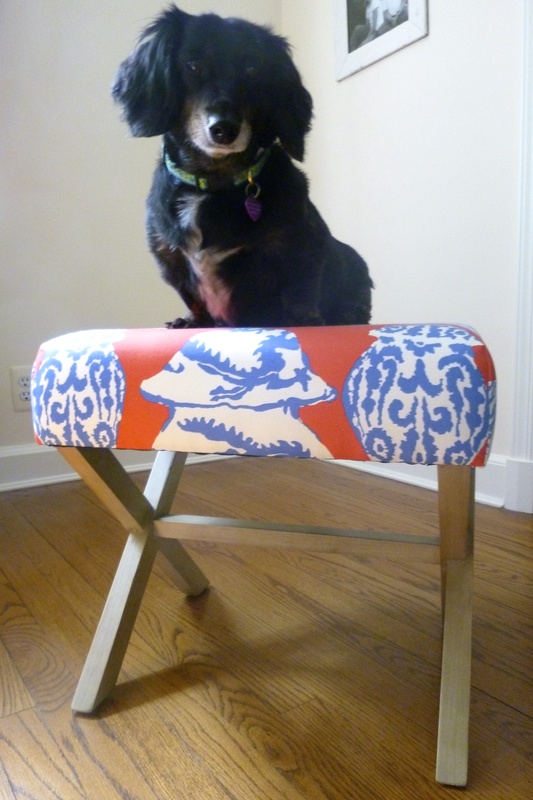 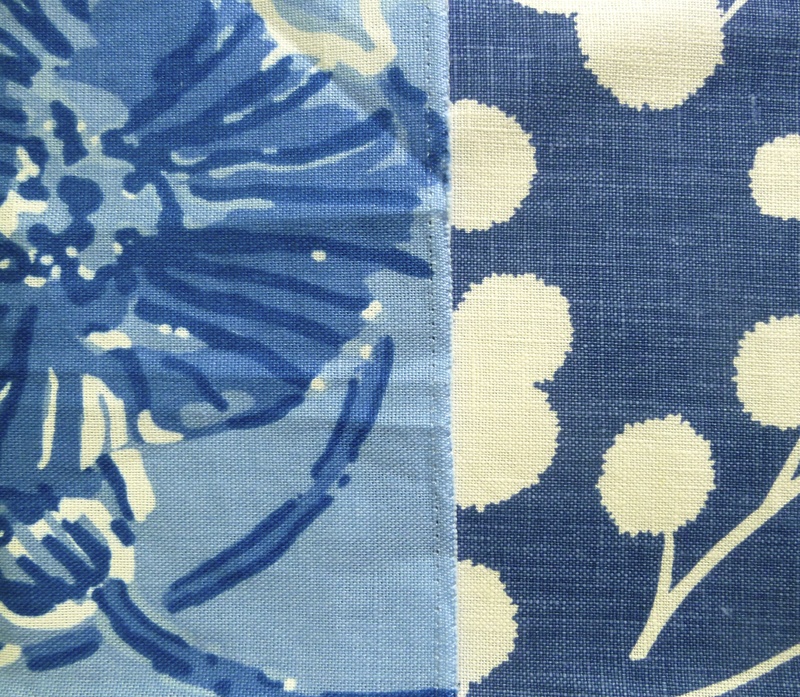 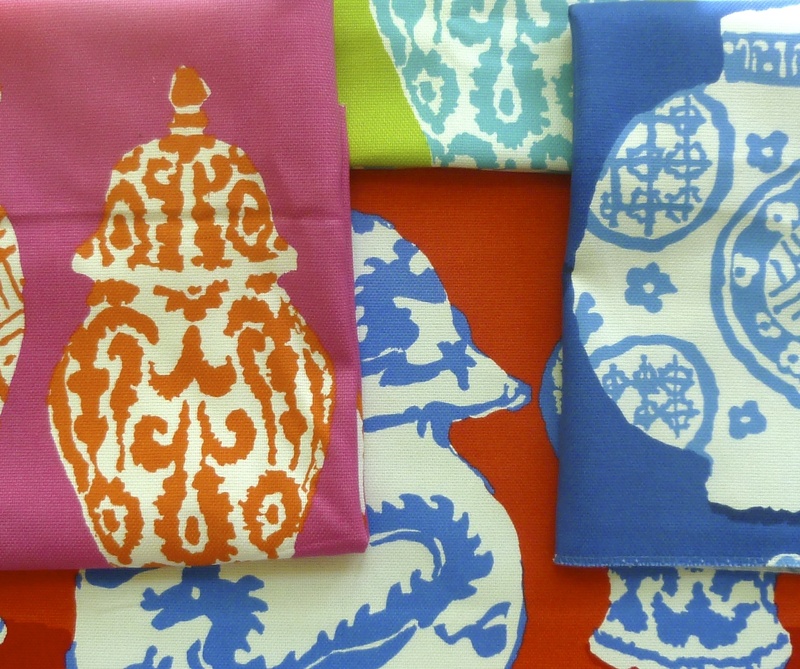 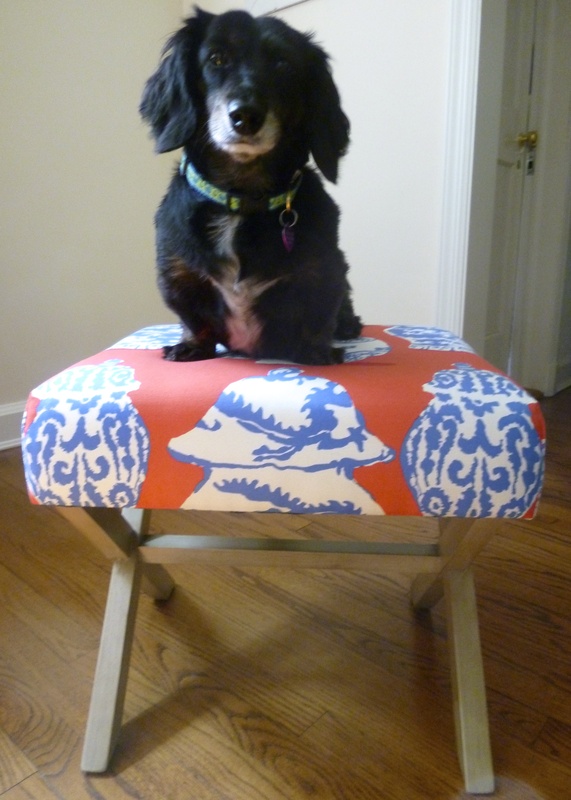 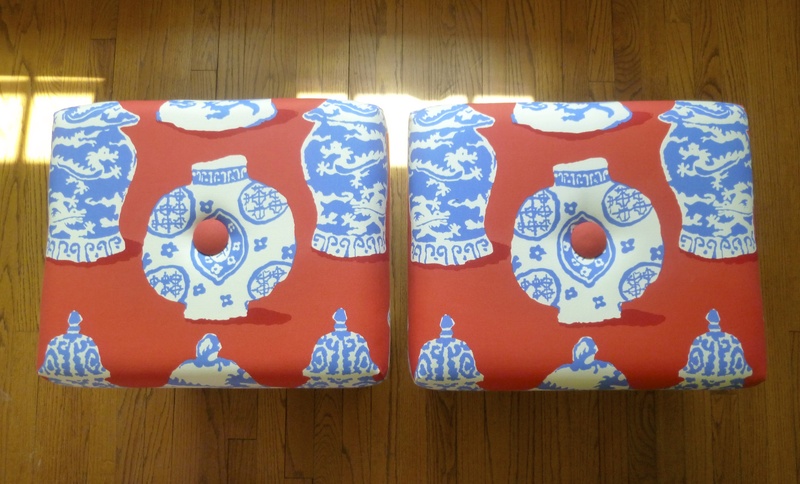 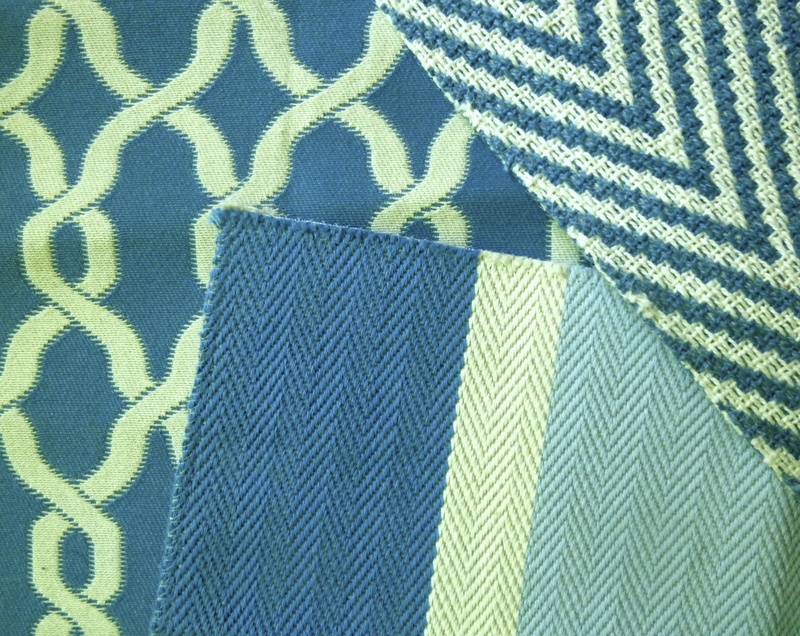 I recovered two x-stools from Target, in my FAVE Stoheim “Canton” coral and blue fabric. 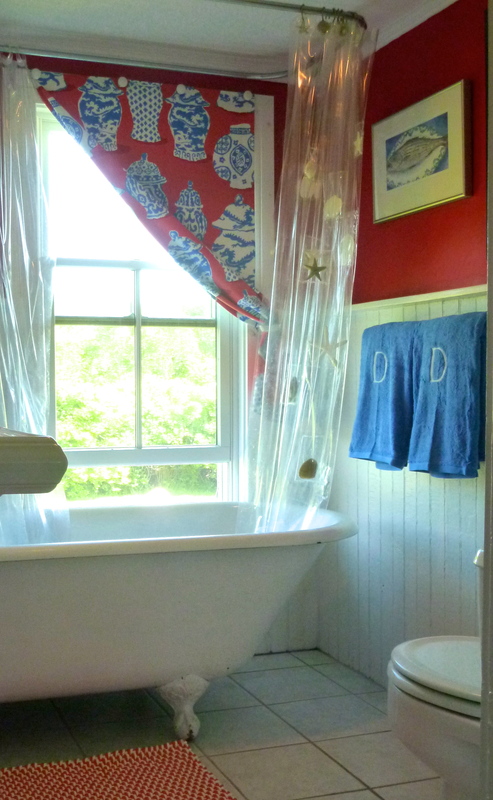 And made a beach bathroom curtain out of it too. 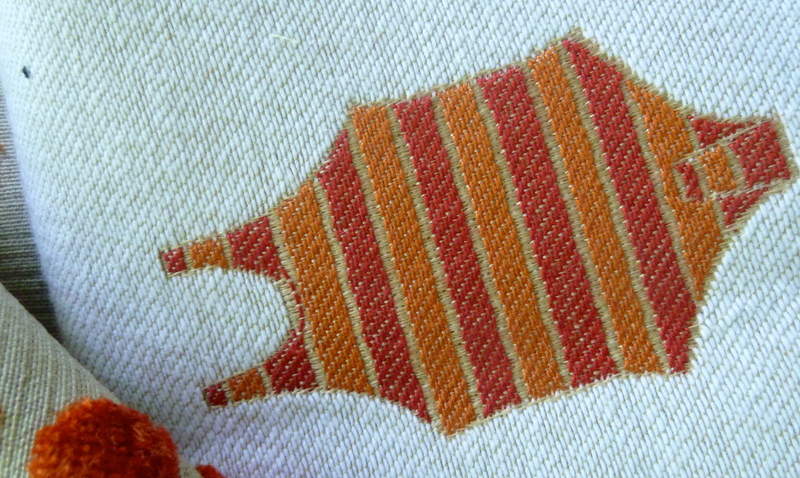 I have been in a huge orange phase. 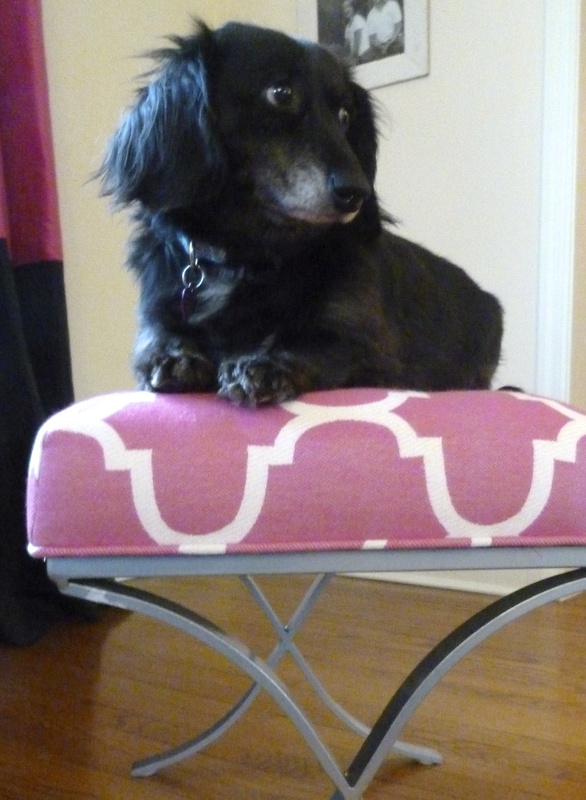 Using it everywhere! 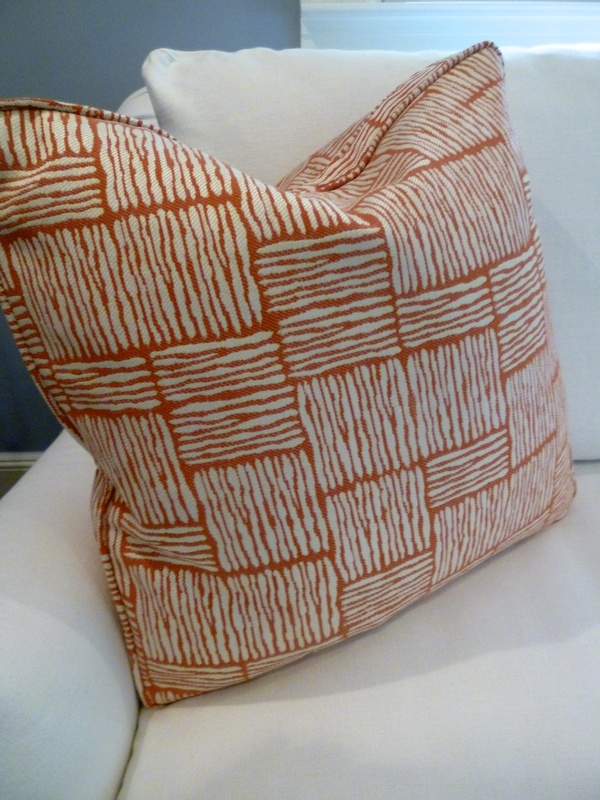 I made pillows in an orange Duralee stripe and recovered chairs in a Jonathan Adler orange solid. 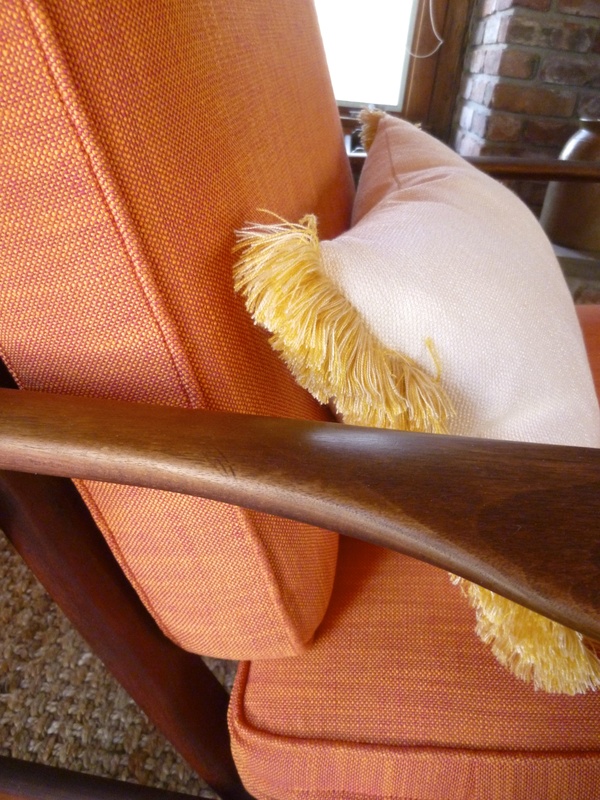 I spruced up old parsons chairs with an orange ultra suede, then backed them with a Duralee print. 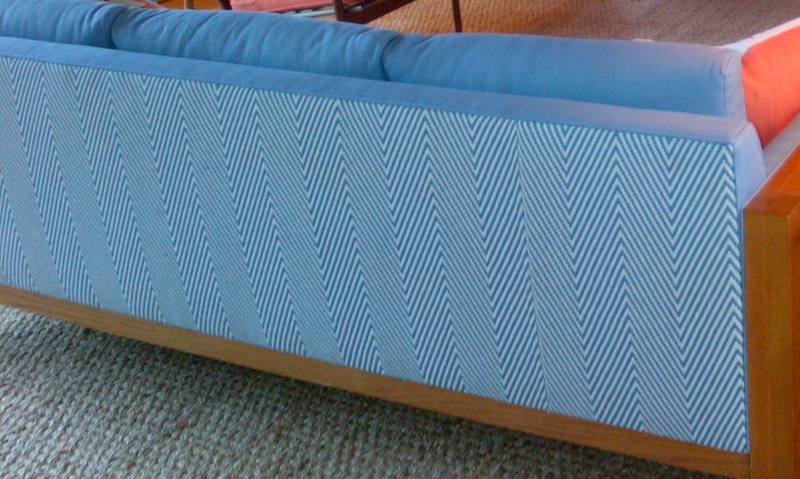 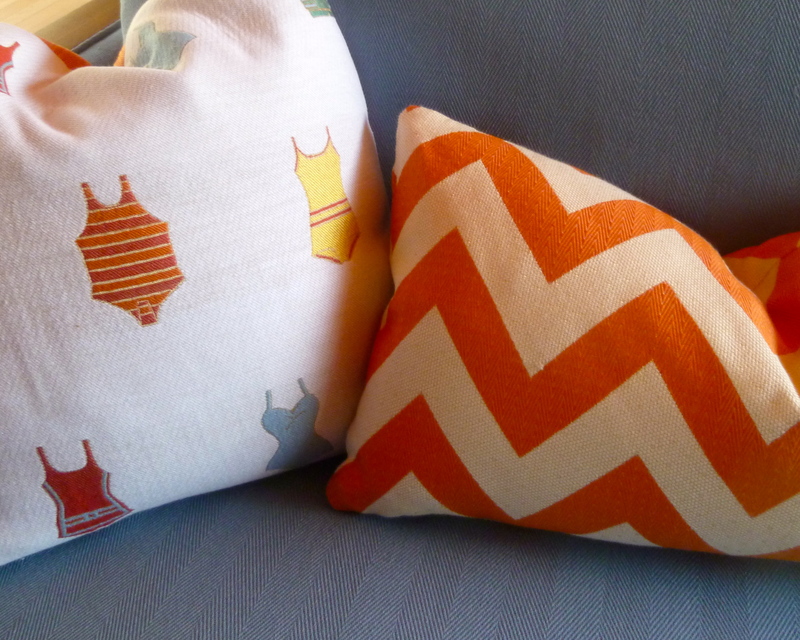 I added new pillows to a Fire Island home in a Robert Allen bathing suit pattern and an orange chevron stripe. 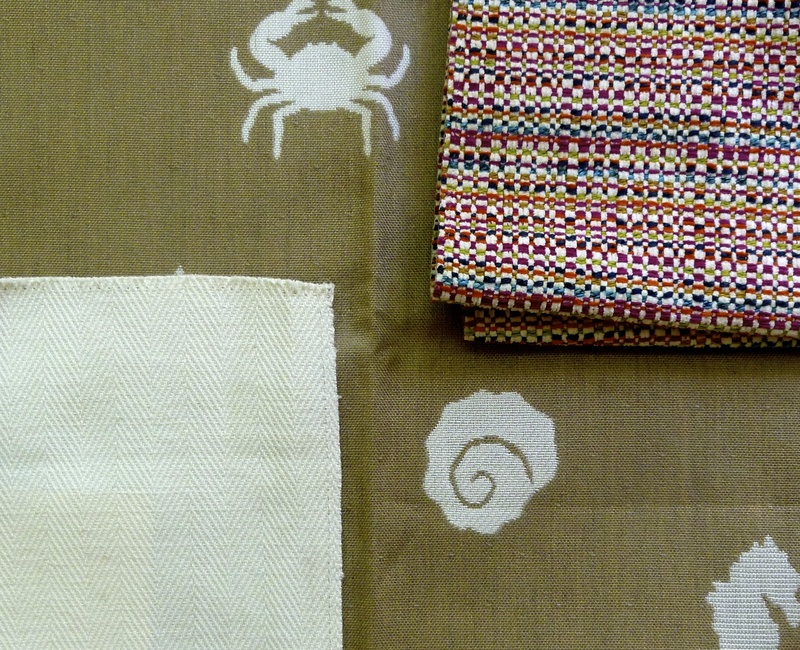 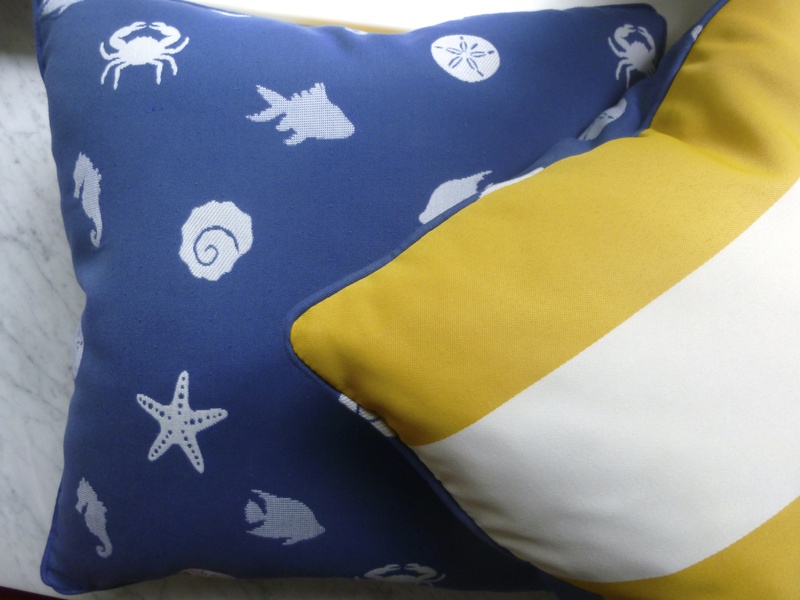 became eight new pillows for a beach cottage. 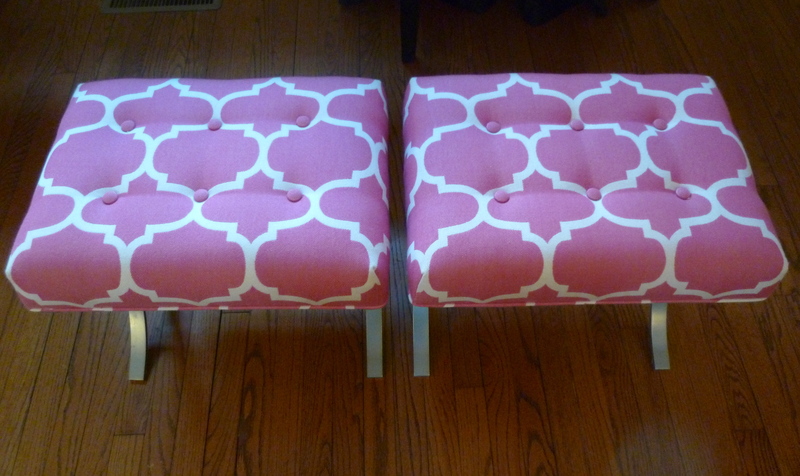 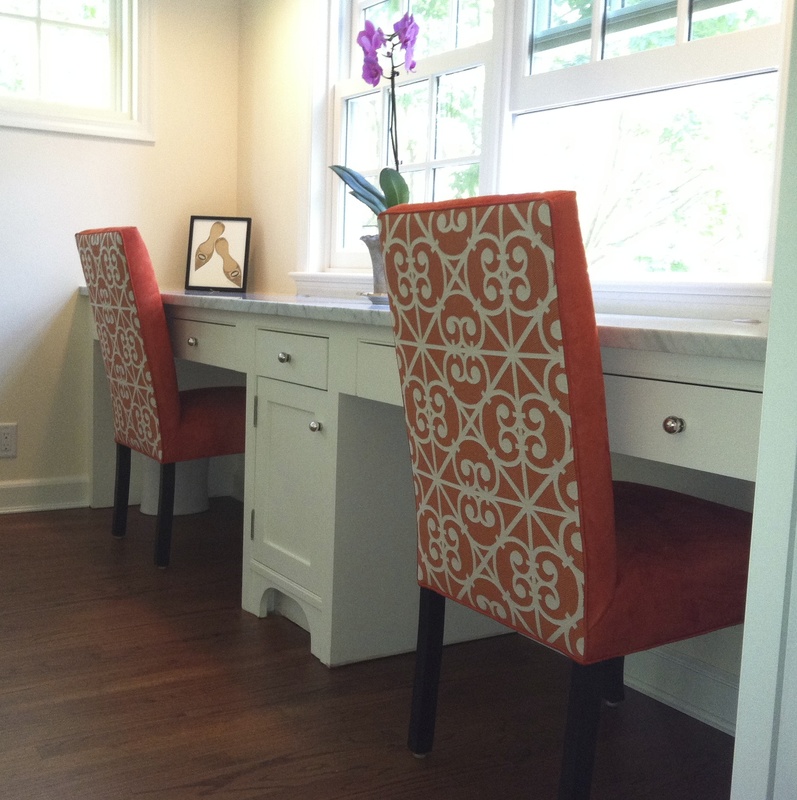 and used a pink geometric on two x-stools for additional seating in a living room. 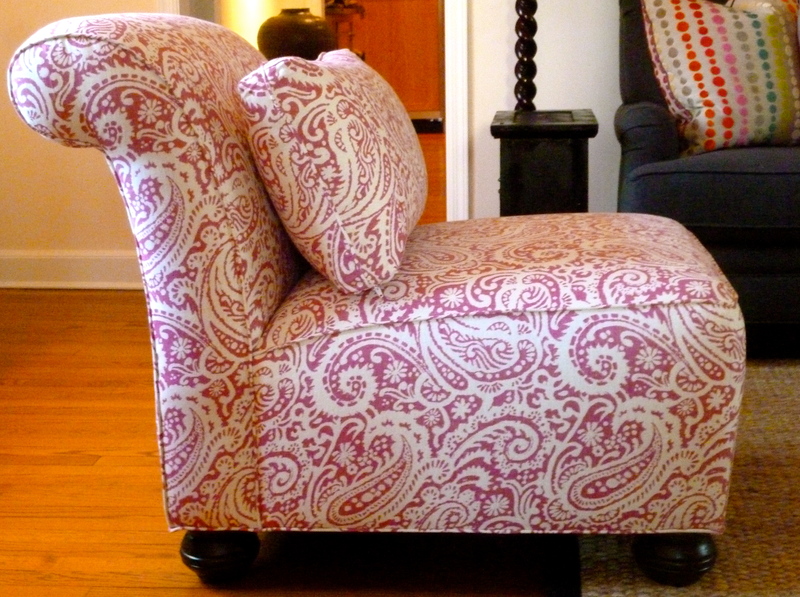 looks adorable on the back of two couches. 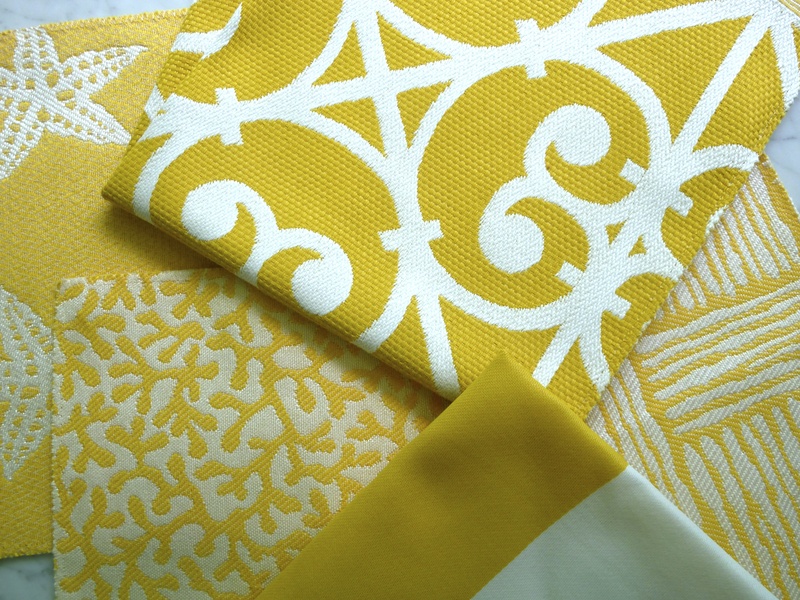 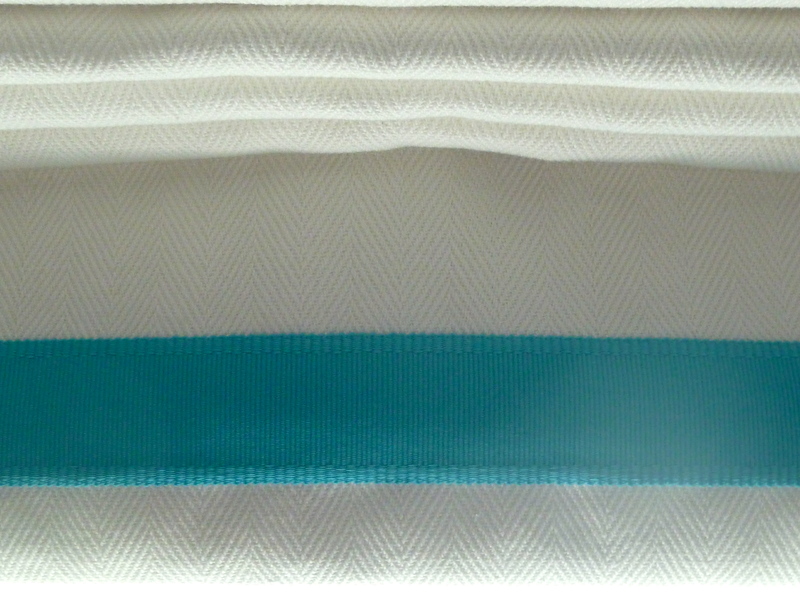 the perfect roman shade with a beautiful Samuels & Sons turquoise ribbon trim. 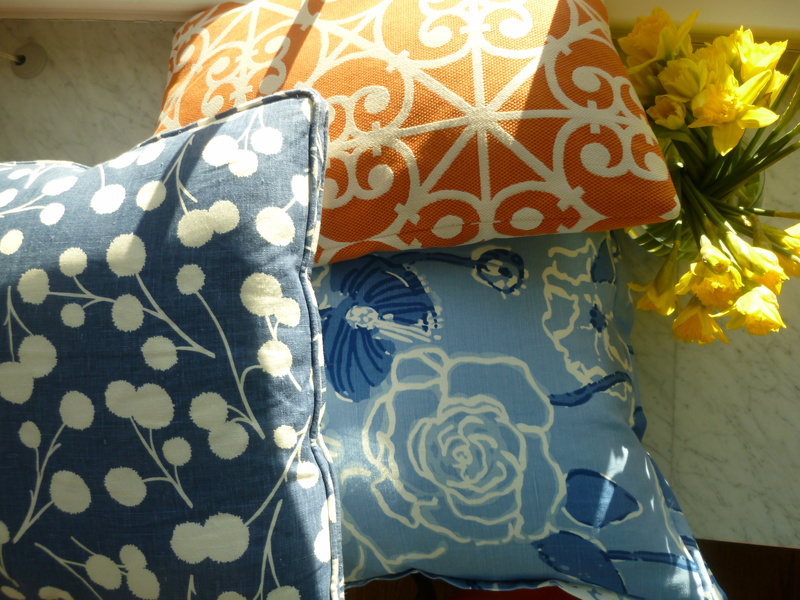 new pillows in a cozy blue and orange office. 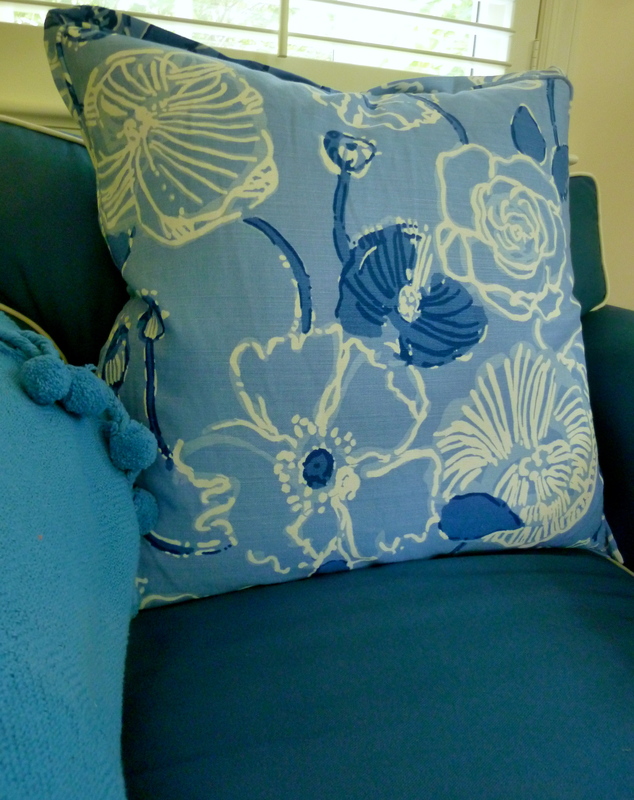 The rest of August = relax. 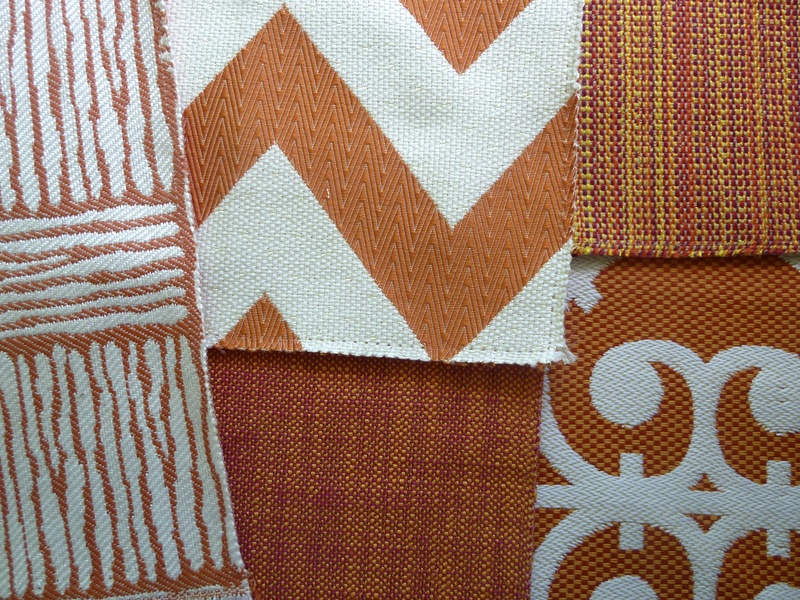 Love all the colors – especially that ‘orange phase’…Outstanding!